Low GPU usage in games is one of the most common problems that trouble many gamers worldwide. Low GPU usage directly translates to low performance or low FPS in games, because GPU is not operating at its maximum capacity as it is not fully utilized. To get maximum performance out of your graphics card and in games, your GPU usage should be around 99% or even 100%. If you are getting less than this then you are suffering from low GPU usage problem, which ultimately means less FPS and lower performance in games. There are many factors that can cause low GPU usage, depending upon the system configuration and drivers you have. 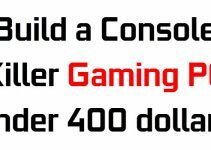 It also means that there are both hardware and software factors involved in lower GPU utilization of your graphics card. So, here in this post I am going to list all the causes and it fixes for low GPU usage. Let’s get started now! You can easily check your CPU and GPU usage by using a free graphics card monitoring and overclocking utility called MSI Afterburner. Using its OSD or On Screen Display monitoring function, you can get all the GPU and CPU related information and game FPS in real-time at the corner of your screen while gaming. It can show your GPU usage, CPU usage, RAM usage, CPU & GPU temperature, Frame Rate or FPS and much more. Below is complete guide on how to monitor you GPU usage, CPU usage and other parameters in real-time. Here are the top software and hardware related problems for low GPU usage with their appropriate fix. One of the main causes of low GPU usage is due to CPU bottleneck. It means that you have an under-powered CPU that is not able to keep up with your graphics card performance. 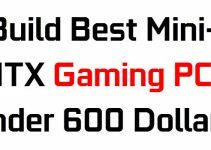 For example, if you pair a GTX 1080 Ti graphics card with an Intel Pentium G4400 processor then you are bound to have serious CPU bottleneck and your GPU will remain underutilized for most of the time. If you have 100% CPU usage in games and low GPU usage i.e. 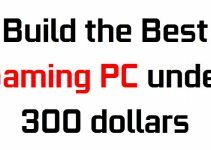 (well below 99%) then you have CPU bottleneck, and you need to get a better and powerful processor for your gaming PC. For ideal situation, your CPU usage should remain in the 60% to 80% range (up to 90%), and GPU usage at 99% or 100%. You can check the CPU usage along with the GPU usage in real-time using the MSI Afterburner software, which I have already mentioned above. If you have a powerful CPU and still the GPU usage is also not at maximum then you have other issues, which you can check out below. P.S. – A temporary workaround for this problem is to raise your game resolution to highest, if you haven’t done it already. This will cause your GPU to work more and it will have much higher utilization than before. Note: Sometimes you may have to look for the individual core usage as not all games use all the CPU cores. It can be possible that you are getting high usage on two cores only, and other are just not used at all. Video drivers also contribute a lot to this low GPU usage problem. It is also important to note that latest drivers are not always better, as I have experienced this many times with my graphics card in latest games. So, if you have latest graphics card drivers installed and getting low GPU usage then you can roll back to previous drivers, and see if the problem goes away or not. Also, if you have older drivers installed then you can install the latest ones and monitor the GPU usage. Overclocking – If you have overclocked your graphics card beyond its limit, then most likely the GPU cooler is not able to keep up with the temperature. Eventually the GPU will definitely get overheated and throttle down to lower clock speeds to avoid any kind of damage to itself. So, reduce or disable the overclock and keep the temperature under safe working levels, as specified by the GPU manufacturer. Bad Contact / Thermal Paste – Improper contact between the GPU and heatsink also results in overheating of the GPU. Also, bad or worn out thermal paste does result in overheating too. So, here you have to take out the heatsink and apply good quality thermal paste, and then securely tighten the heatsink over the GPU. Higher Case Temperature – If your case has bad airflow then you have higher case temperature, and thus higher temperature of other components including graphics card. So, my advice here is to install at least one intake fan and one exhaust case fan to improve airflow. Good airflow will decrease the temperature of your graphics card and prevents it from overheating. 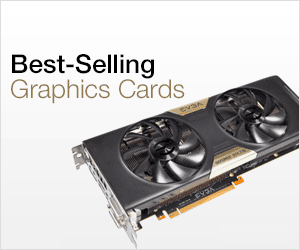 GPU Fan Issue – Sometimes a faulty and damaged fan can also be a cause for GPU overheating. The only way to fix this issue to replace the graphics card fan with a new one. You can check out the guide below on how to find a replacement fan for your graphics card model. VRM or Voltage Regulator Module is one of the most important parts of a graphics card. Its main job is to provide the right specified voltage to the GPU and VRAM. VRM mainly consists of MOSFETs, Capacitor, Inductor and PWM controller. MOSFETs are the major component of a VRM and they heat up pretty quickly, and if they get overheated then they will not be able to provide sufficient power to the GPU, which might force it throttle down and thus may cause low GPU usage and lower frame rates. Sometimes the contact the between the VRM MOSFETs and the heatsink of the graphics card is not proper because of crappy thermal pads used in the manufacturing process. So, to fix this you can get good thermal pads of appropriate thickness and replace the older ones with them. Some of the games are more dependent on the CPU due their bad optimization. So, here GPU usage bound to be lower and you cannot do anything about it rather than installing the patches or fixes released by the game developer to fix this problem. You can upgrade to a much powerful CPU but if the issue is only with couple of poorly optimized games then you don’t upgrade your processor for these crappy CPU intensive games. An under-powered PSU or a faulty 6-pin/8-pin PCIe connector can also contribute to this problem. This is because then the power supply will not be able to supply sufficient power to your graphics card and CPU, and due to this they will not operate at their maximum potential. So, make sure you have good power supply for your gaming rig, and also check that all of its connectors are working properly. You can use a multi-meter to check the PSU connectors. Windows Power Management Setting for PCI Express is one of the most common causes for low GPU usage, and this has been reported by many gamers. If this setting (Link State Power Management) is set to maximum power saving mode then it will cause the PCI Express interface to operate at lower clock speeds and cause PCI-E devices i.e. graphics card to under-perform. 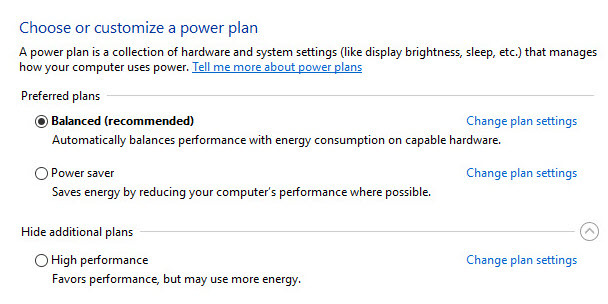 To turn off this setting in Windows 10 / 8 / 7, follow the steps mentioned below. Step 1. Go to Control Panel->Power Options. Step 2. Here click on Change plan settings to the plan that is selected here. Below you can see that the default selected plan is Balanced. Step 3. Now click on Change advanced power settings. Step 4. The Power Options window will open and here scroll down to expand PCI Express and then Link State Power Management. In the Settings drop down box, select Off and click Ok to save the changes. You may also have to restart your computer to make sure the changes have been applied. After this your graphics card PCI-Express slot will operate at full speed and you may see higher GPU usage and performance in games. Some users have reported at least 10 FPS increase in games after turning OFF Link State Power Management setting in Power Options. 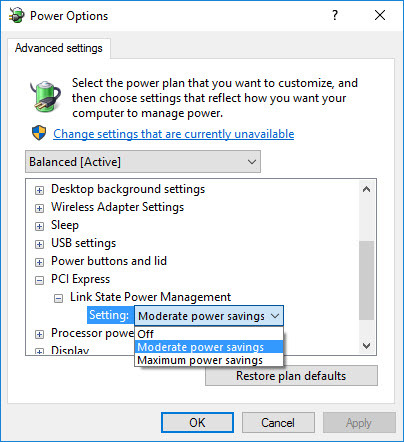 Moreover, Nvidia also has power management settings in their control panel that you can set to maximum performance if you are still having issues with low GPU usage. 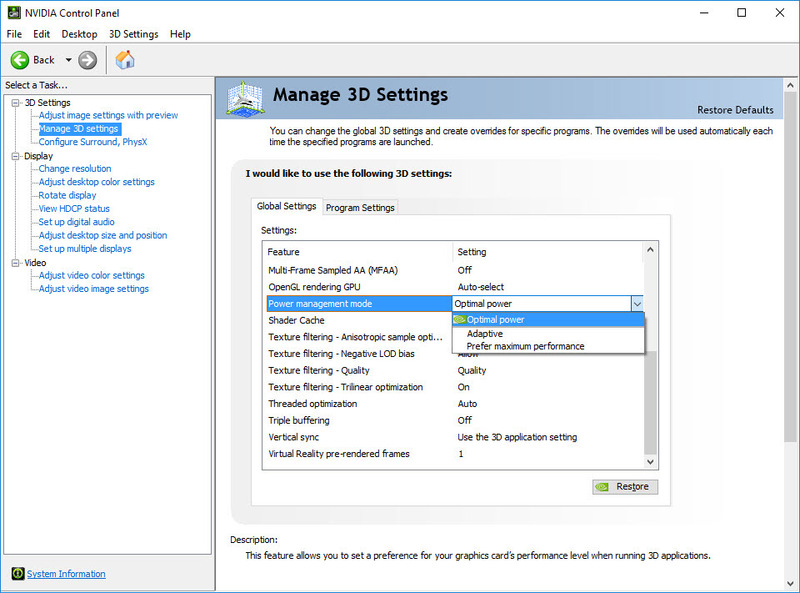 To set it to maximum performance, go to Nvidia control panel->manage 3d settings->power management mode->prefer maximum performance. This is shown in the image below. Yes, windows updates are quite notorious these days, especially if you are using the Windows 10 operating system. If you have noticed sudden decrease in performance in games after a Windows update then most likely the culprit is the Windows update only. Here you can either roll back to the previous update or reinstall the Windows 10 OS again. You can also wait for the next update to see that if the problem has been fixed in the newest update or not, but my personal advice is to be rollback or clean install Windows if rollback fails. P.S. – You can disable windows updates to keep this from happening again and again. Yes, it may pose a security risk but most of users do have it disabled, especially the gamers. If you are running multiple graphics cards in Nvidia SLI or AMD CrossFire mode, then you may face this low GPU problem quite often. This can be due to faulty HB Bridge, driver issues, and it has also been seen that some games do not run well with SLI / CrossFire setup. So, here you can reseat your HB SLI Bridge or try getting a newer one that is offered by the Nvidia itself. You can also install latest video drivers or rollback to previous video card drivers, or try disabling the SLI / CrossFire for the particular game. Make sure that you clean install the video driver by uninstalling the previous one using DDU (Display Driver Uninstaller) utility. Moreover, you can also try switching from Rendering mode to Alternate Frame Rendering (AFR), which may help to maximize GPU usage. Note: If you have a Pascal based graphics card then you might want to disable G-Sync in Nvidia control as it has been reported by many users that G-Sync is broken with Pascal graphics cards in SLI for some games and applications. 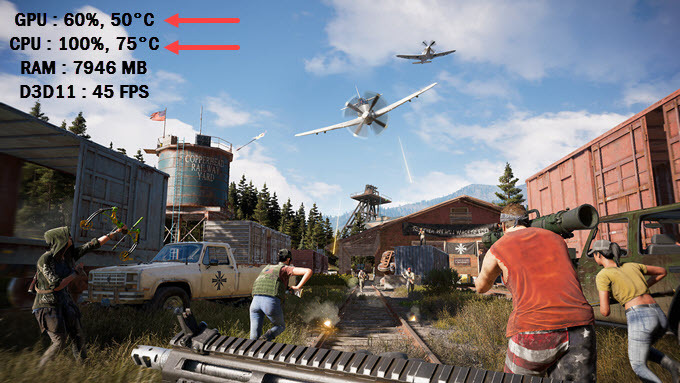 G-Sync and FreeSync are adaptive or variable refresh rate technologies from Nvidia and AMD respectively to eliminate screen tearing and stuttering in games. It is possible that you can experience low GPU usage when G-Sync / FreeSync along with VSync is enabled or you have capped the FPS for that game using in-game settings or by using FPS limiter softwares. It is generally done because G-Sync / FreeSync does not work above monitor’s refresh rate, and it is necessary to limit the maximum FPS below the refresh rate of the monitor, if you are getting frame rates above monitor’s maximum refresh rate. This is because if you have a 75Hz monitor and a powerful graphics card that is generating more than 100 FPS in that game, then FPS limiter softwares or V-Sync will cause your graphics card to work less by limiting the maximum FPS to the monitor’s refresh rate or even lower that you have specified, and it does result in somewhat lower GPU utilization. However, when you disable V-Sync or remove FPS cap, then your graphics card is going to spit out as many frames as possible, which will make your GPU usage highest. So, here if you are seeing low GPU utilization then you should not worry about it as it is very normal. G-Sync along with SLI can cause low GPU usage due to driver and game compatibility issues. So, here you can either try out other drivers or you can disable either the G-Sync or SLI for the game to fix the issue. Some users have also reported success by uninstalling GeForce Experience with SLI+G-Sync low GPU usage issue. Also, turn off the V-Sync if you have G-Sync / FreeSync enabled. If you are playing a pirated version of the game that is infected with a Bitcoin virus or any other Malware, then these malicious programs can cause high CPU usage, and this will result in low GPU usage because the CPU is not able to cope up with the graphics card. So, here scan your system with a good Antivirus and Ant-malware software and get rid of the virus or malware. For Anti-virus, I recommend ESET NOD32 Anti-virus and for Anti-Malware, MalwareBytes Anti-malware is the best you can get. High Precision Event Timer (HPET) is a hardware timer that is needed by Windows OS for some Multimedia related tasks. When enabled, this timer may cause low GPU usage and huge performance loss in games. You have to check your computer BIOS to see if this timer is supported by your system or is enabled by default or not. You can disable HPET to gain performance in games and also have your GPU to run to its maximum performance. To disable it HPET in Windows, Go to command prompt and type in the following command. To enable HPET again, use the following command in the command prompt. Note: If you are facing instability issue with Windows and other softwares after disabling HPET, then you might want to turn it ON again when you are not gaming. Sometimes disabling Simultaneous multithreading (SMT) in AMD systems may help some users to gain better performance and high GPU utilization, especially in older games. However, for modern games and normal working, you should enable it for better overall performance of your computer. Find out if your Computer can run this game or not? Well, I think I have discussed in quite detail about the low GPU usage problem and how to solve it. However, if you still have issues or facing any graphics card related problem with your game then you can ask your queries here by leaving a comment below. Also, if you have any more suggestions to fix low GPU usage then you are most welcome to let us know about it. when i play far cry new dawn on even low graphics my cpu uses 100 % most of time and gpu most time under 70 % and sometimes 0 % for 2 seconds !!!! i dont know if its from game because its cracked?? It is a very CPU demanding game and does prefer more cores (even more than 6 cores). The game is not very well optimized too. Also, you are using a cracked version, so it may contain some bitcoin miner or other malware that is affecting your cpu usage.